Dr. Eric Gan Keng Seng, a Singapore-based surgeon in private practice has led a subspecialty clinic since 2007. At Eric Gan Surgery, he offers gastrointestinal endoscopy and cancer screening. Dr Eric Gan is a digestive surgeon specializing in cancers of the upper gastrointestinal tract, including gastric and oesophageal cancers. In addition, Dr. Eric Gan Keng Seng performs surgery to treat hernias, acid reflux, hemorrhoids, and gallbladder disease. At Bridge Bariatrics, a subspecialty clinic he established that treats patients struggling with obesity, Dr. Eric Gan offers surgical solutions for weight loss. The Roux-en-Y gastric bypass, is an established bariatric (weight loss) surgical procedure with proven results in producing sustained, long-term weight loss. Another increasingly popular and relatively new option is sleeve gastrectomy. During this procedure, he removes as much as 80 percent of the stomach and then reshapes it, thereby restricting food intake. Other weight-loss solutions include adjustable gastric banding or the bioenterics intragastric balloon; the latter, a nonsurgical choice, requires no incisions. Before establishing his own practice, Dr. Eric Gan was Consultant Surgeon in the Division of Upper Gastrointestinal Surgery at Singapore's National University Hospital. During this time, he also instructed medical students as a Clinical Lecturer for the Yong Loo Lin School of Medicine. In other prior experience, he served as Consultant Surgeon with Alexandra Hospital. Dr. Eric Gan earned his medical degree from the National University of Singapore. He later obtained a Master of Medicine from the National University of Singapore. He is a Fellow of the Royal College of Surgeons. He received further training at Jichi Medical School, Saitama and the National Cancer Center in Tokyo; he was also a research fellow at the Memorial Sloan-Kettering Cancer Centre in New York City. 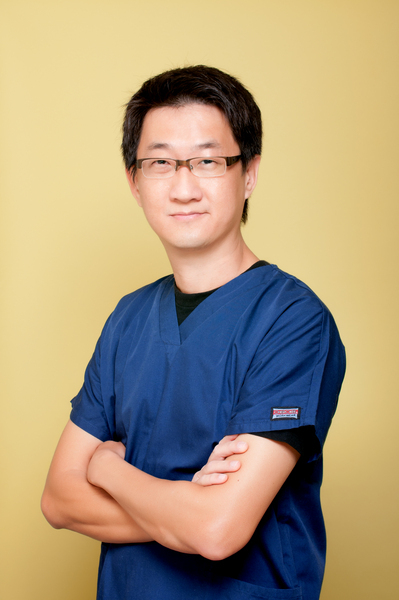 Dr. Eric Gan Keng Seng graduated from medical school at the National University of Singapore. He had advanced surgical training in hepatobiliary and upper gastrointestinal surgery at the Memorial Sloan-Kettering Cancer Center in New York, and Jichi Medical University in Japan, Currently, Dr. Eric Gan is director of Bridge Bariatrics, a subspecialty clinic focusing on weight loss surgery in Singapore. In addition, Dr. Eric Gan functions as a consultant surgeon at Mount Elizabeth Medical Centre.Bariatric (weight loss) surgery is the only treatment method proven to result in significant and sustained weight loss in the morbidly obese. Some of these surgical procedures work by reducing the volume of the stomach, thus restricting food intake. Other procedures work by re-routing the intestines and reducing the absorption of nutrients from the digestive tract.Laparoscopic adjustable gastric banding involves the placement of a silicone band around the upper part of the stomach that restricts the amount of food consumed. Surgeons can adjust the constriction of the band by injecting saline into a port implanted under the skin. Laparoscopic sleeve gastrectomy involves removing up to 80% of the stomach: the sac-shaped stomach is resized and reshaped into a narrow tube with the use of surgical staplers. This technique does not require the implantation of a port.The third technique, a laparoscopic Roux-en-Y gastric bypass the use of surgical staplers to divide the small intestine distal to the duodenum; this allows a 'Roux' limb of intestine to be joined to a small gastric pouch The food stream then bypasses the majority of the stomach and enters directly into the small intestine.